On 14 December 1994, the Victoria Falls Safari Lodge welcomed its first paying guests. That was 20 years ago and the company has grown from strength to strength. I was invited to participate in the 20th year celebrations and share the experience, and the amazing success story of the Victoria Falls Safari Lodge and its sister venues that make up the Africa Albida Tourism group. The celebration weekend consisted of three main events, and a number of smaller more private ones. Each showcased aspects of what the lodge and the surrounding area offer. I WAS impressed from beginning to end, not only with the offering but with he actual events. 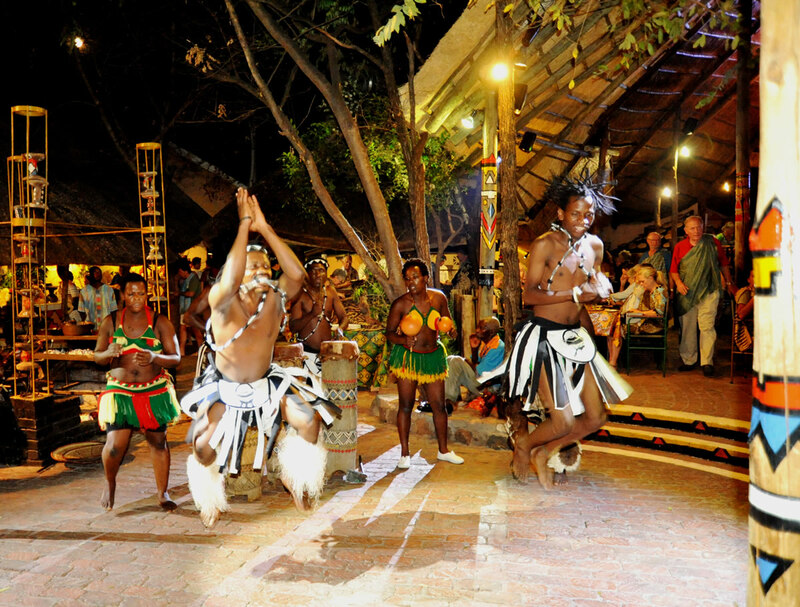 The Boma started out IS a 60-seater outdoor restaurant when Lokuthula lodges were built, to comply with RCI require-ments. In those days the waiters were also the enter-tainers and the weather caused havoc a lot of the time. 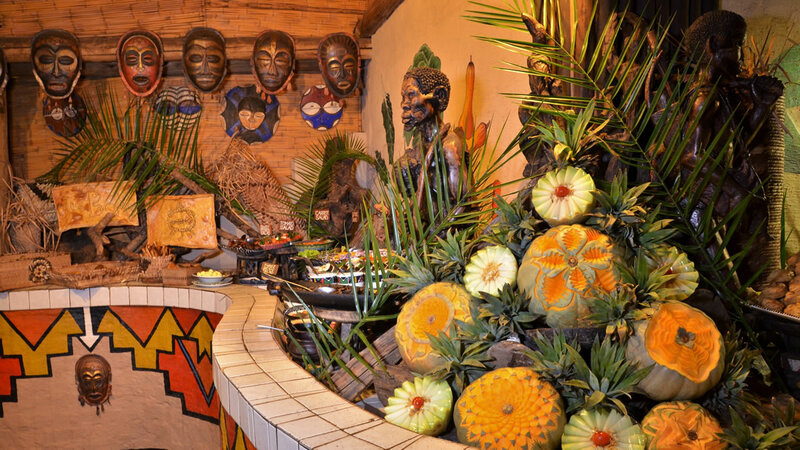 But that was then; now The Boma is a mostly under cover 300-seater dining and entertainment extravaganza. In addi-tion there is a bar outside and all is set in substantial grounds, where we enjoyed 2 welcome cocktail and were introduced to some of the other guests. The guest list included various tour operators with which Africa Albida Tourism have a good rela-tionship and many locals and ex-locals who have been involved or supportive OM the ran. But most importandy, the guest list included 24 staff members who have been %writing at Victoria Falls Safari Lodge since it opened. Seeing not only the loyalty of the staff, ‘rut the recognition thereof. c .peaks wineries for the way this busing is run. 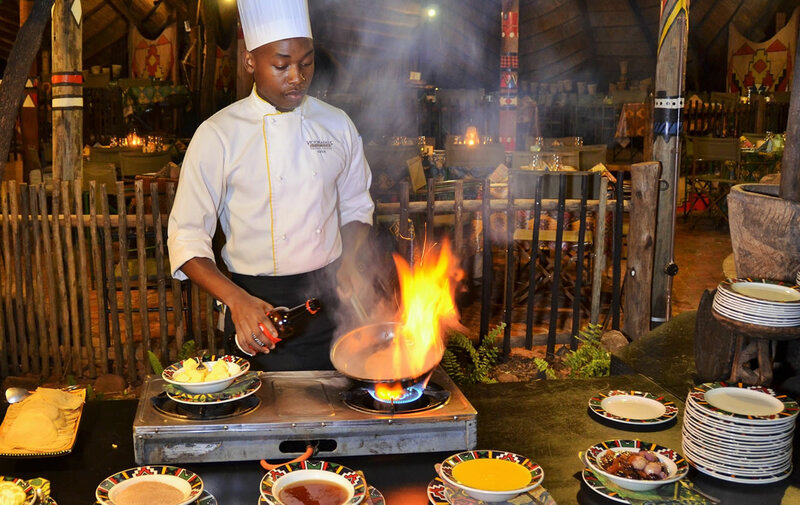 The Boma is desaibcd as ‘Place Of Eating’ for good reason. 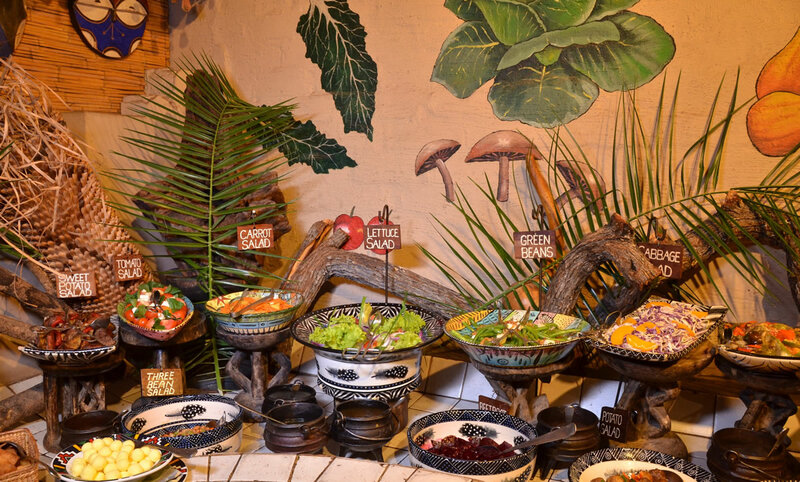 There was a cornucopia of delicious food, with a focus on local dishes, all saved buffet style. 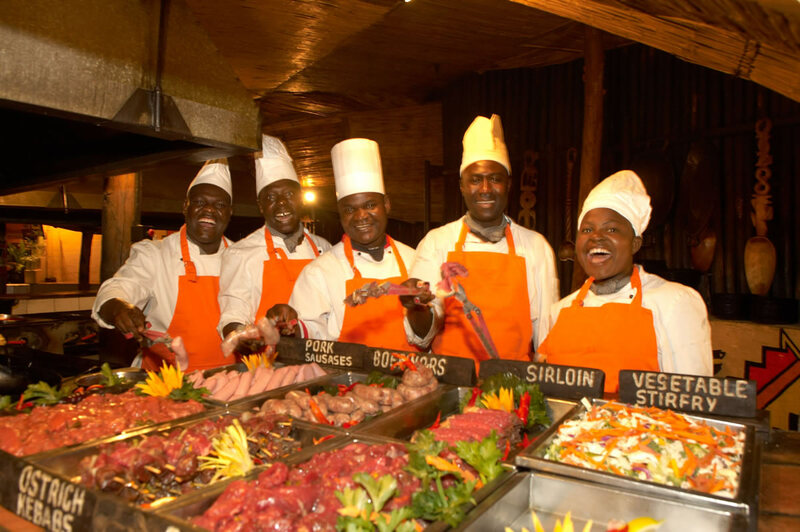 Various unusual meats were on offer, from beef to crocodile to mopane worms. 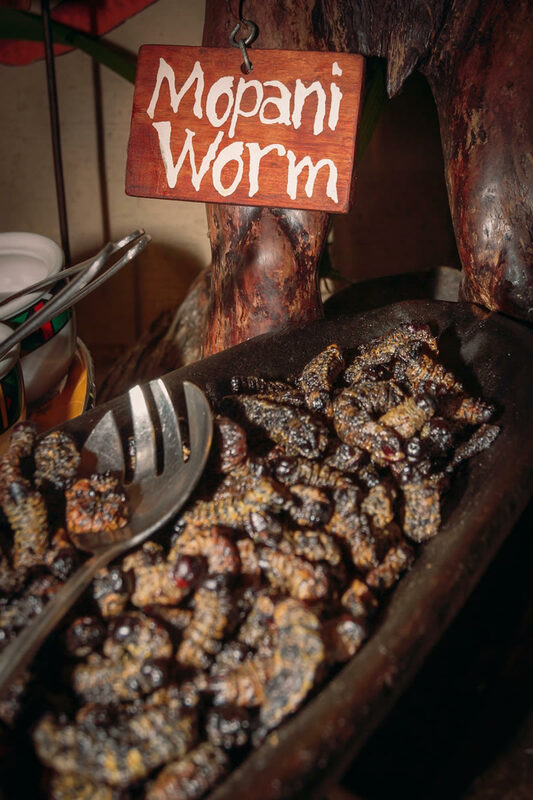 I tried a few interesting things I had not tasted before but I was not going to ay the mopane worms – I’ve had them before and I’m not a fan. As the evening progressed, the enter-tainment began. Dancing and drumming, at first to entertain the crowd but soon we were involved. Each of us was given a drum and a crash course in drumming. It’s not as easy as it looks! The bravest among us (or perhaps those who had not eaten too much like I did) got involved in the dancing. 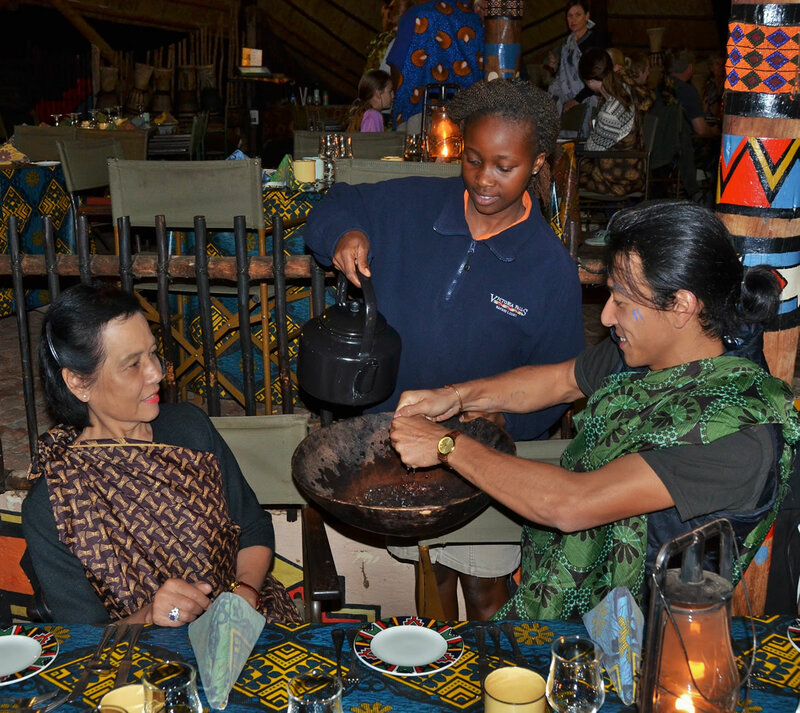 It’s quite difficult to describe the Boma experience. It’s so much more than one imagines it might be. The Amazing Race Rally and Elephant Experience At breakfast on the Saturday morning we didn’t have much time to tease each other about our dance moves the night before, because we were quickly divided into teams and issued with instruc-tions for The Amazing Race Rally, co-ordinated by Cansaf Creative Teaming. There were six teams and six stops, with an activity to complete at each stop. We were given a van with a driver and a book of puzzles, questions and clues. Next thing we knew we were off to our first stop. Some of the stops were just for fun, but most of them were a clever way of introduc-ing us to our surroundings. For instance, one stop involved following a scout from the Victoria Falls Anti-Poaching Unit through a section of the reserve while he showed us how they hunt for snare traps and try and catch poachers. 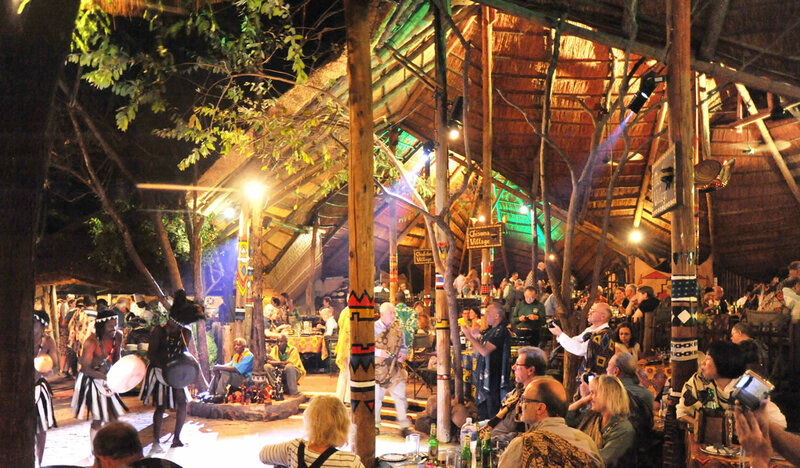 Victoria Falls Safari Lodge is one of the funders of 1 VFAPU. One of our tasks was to learn a local dance. It took us a while to remember all the moves but eventually the team was dancing in unison. Then we were sent into Victoria Falls town to buy ice creams from a vendor so that we could use the sticks to complete a puzale. What we didn’t realise was that it was a setup and the next thing we were a dancing flash mob in the middle of the town, showing off our recently acquired moves! 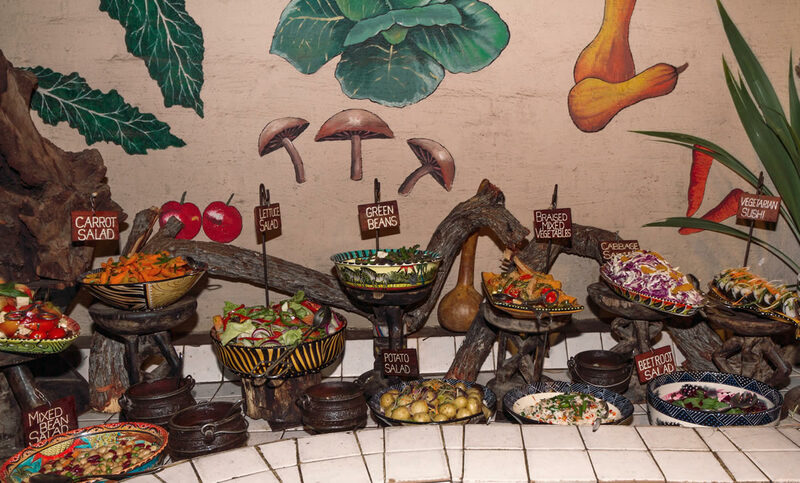 Other tasks included trying to solve a crime from the clues scattered around a mock crime scene; replicat-ing an done by local artists; preparing and plating food at the kitchen ofThe Boma. It was fun and interesting – it was also a great way for people to get to know each other. Once we were done, all the teams met at Wild Horizons Elephant Wallow for lunch. But before that we were treated to an elephant interac-tion. It was amazing to be so dose to these majestic beasts. The Zambezi River is beautiful. Admittedly we only cruised a small section of it, so I don’t know if it’s beautiful everywhere. 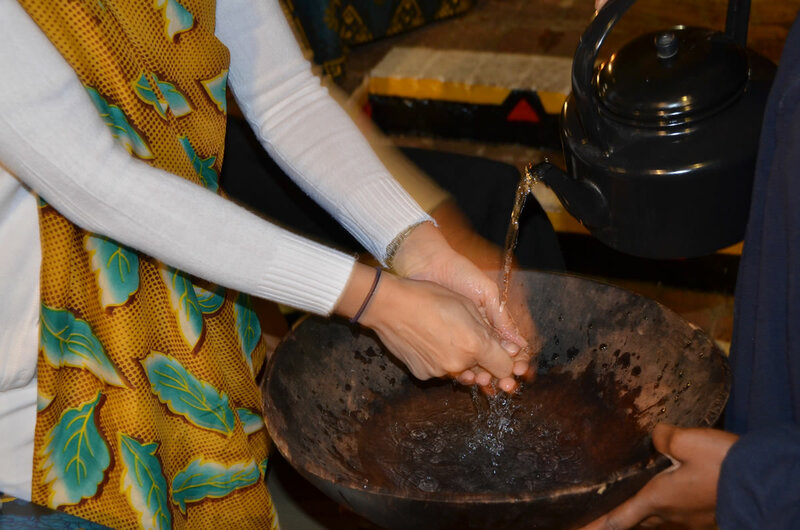 It is after all, the fourth largest river in Africa! But the section we were on was just spectacular. The Zambezi Explorer is a modern and elegant vessel, very luxurious. The water suetches out in front of and behind the boat, while the river banks on both sides are just close enough to provide visual interest without imposing on the expanse of water. The food served was of a high standard and, as had been the case during my entire visit, the staff were friendly and articulate. Watching the view with the cool breeze coming off the water, with a refreshing drink in hand made the cruise a very special experience. If you had to ask me wh of these three activi-ties I enjoyed the most, I could ss,t not tell you. Each had its own appeal. 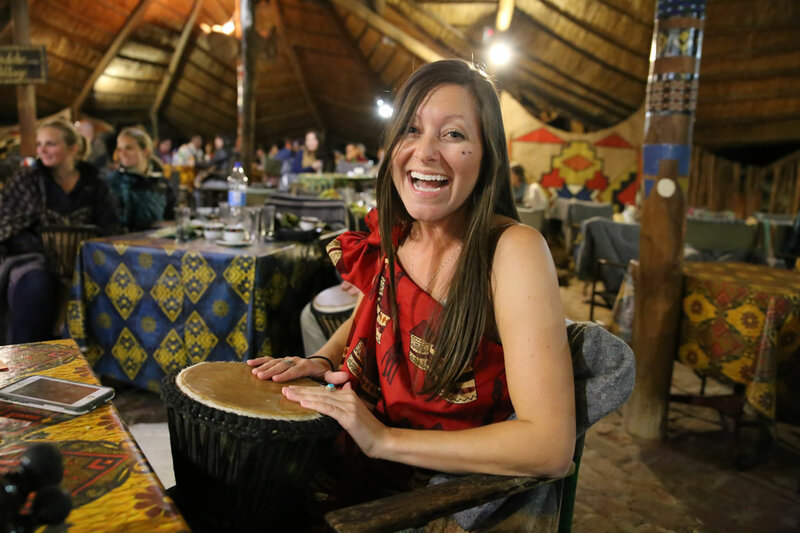 The Boma dinner was fun and energetic, and a culinary experience not quickly forgotten. The Amazing Race Rally was informative and clever, and fun, and a great ice breaker. The elephant experience was very special, a rare treat. And lastly the Zambezi cruise was just spectacular in a serene, relaxed way.